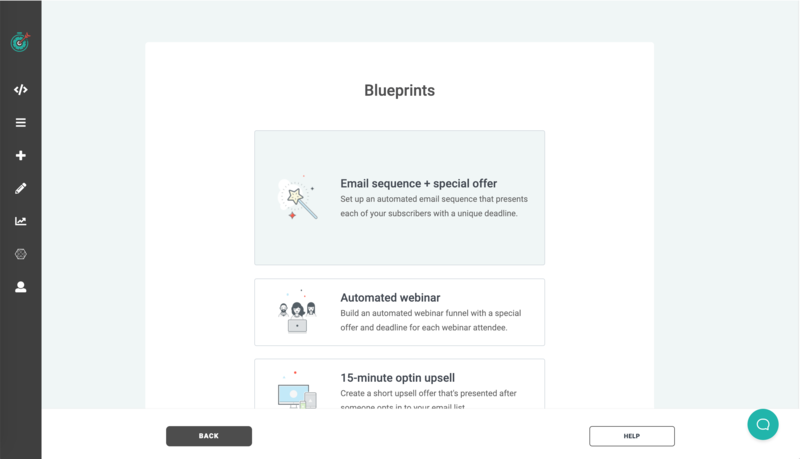 Each subscriber in your sequence will be automatically assigned their own custom deadline - whether you're doing a webinar... an email sequence... an automated launch... or really ANY type of campaign. If you're not using a deadline you're leaving money on the table! Here's a quick guide on how to get started with Deadline Funnel + Aweber, so you can build your evergreen funnel. Deadline Funnel University: Check out the How to Create an Evergreen Email Funnel course on Deadline Funnel University for a free training series on building your first evergreen campaign! First things first - you will need to create a campaign in Deadline Funnel before you can set up the integration with AWeber. Then you'll set the deadline length and add your first funnel step(s). Don't worry too much about those two items - you can come back later and change those at any time. Now you can follow the steps below to integrate with AWeber. After you've created your Deadline Funnel campaign, set up the integration between Deadline Funnel and AWeber. This integration allows you start a subscriber's deadline as soon as they're added to a specific list in AWeber. View the integration guide here! Once the integration is up and running, any subscriber who is added to your list in AWeber will have a deadline assigned to them. That's the first key part for Deadline Funnel tracking - tracking the email address of each subscriber as they go through your automation. The second critical part for Deadline Funnel tracking is to add Deadline Funnel email links to the emails in your automation, wherever you're linking to a page that has a Deadline Funnel timer or redirect on it. That would normally be your special offer page, which normally would get redirected to a different page after the deadline expires. Here's our guide on adding the Deadline Funnel email links to your emails. Please note that you cannot integrate Deadline Funnel + AWeber correctly unless you add the DF links to your emails! Once you've set up your trigger, you can customize your AWeber emails with an animated timer. Check out our step-by-step guide here. You can find a helpful guide on how to time out your Email Sequence in AWeber with your Deadline here.